View More In Network Attached Storage - Page 2. When expanding data storage capacity, deploying multiple servers can lead to complexity in management and dramatically increased costs. 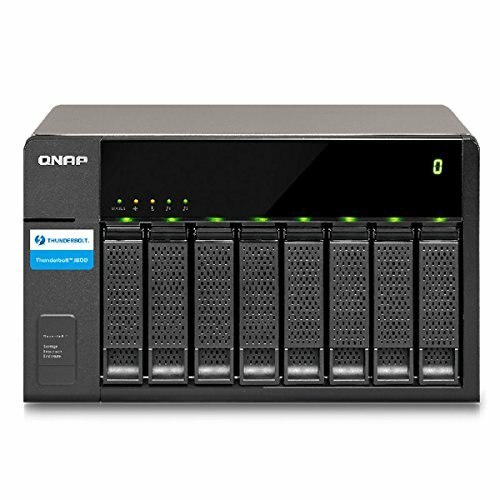 QNAP TX-800P expansion enclosure provides a flexible expansion alternative designed with easy setup in mind for scaling up Thunderbolt NAS storage space via high-speed Thunderbolt 2 (20Gbps) cables. The TX-800P provides an additional 8 hard drives providing up to 64 TB expanded capacity for the Thunderbolt NAS, making it ideal for data backup, 4K digital media collection and video surveillance storage with blazing-fast data transmission performance.